We are smitten with Kenneth Cobonpue ‘s Knottee hanging lamp and floor lamp at Hive. It has a modern and slightly Nordic feel with its large, loosely knit lampshade and minimal base or hanging cord. Simple, cozy, and dressed in soothing colors, these lampshades fit well to any casual contemporary space in the interior design of your designer homes. It’s a perfect item to enhance a lighting plan and an easy way to inject some textural appeal into an interior scheme of your beautiful homes. Plus, it’s just cute in the most elegant way possible. 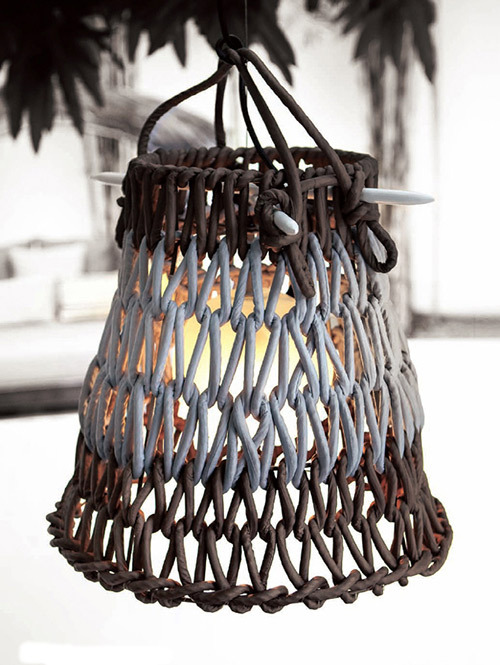 Go to Hive to lean more about Knottee knit lamps and their other creative interior home decor products. 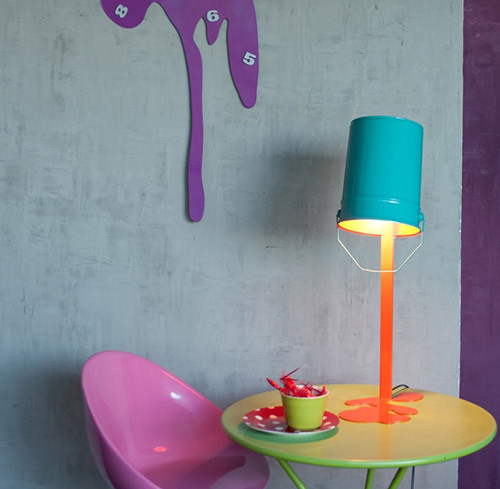 These fun metal sculpture lamps by interior designer Nathalie Bernollin, called Oups, remind us not to cry over spilled ‘paint’. Oups was inspired by Bernollin’s father, a painter. She remembers the colorful paint spills all over his studio space. Ooups! This lamp is a design object that will bring originality to any space and pleasantly surprise anyone that sees it in your designer homes. It comes in a variety of colors to suit your tastes and interior design of your beautiful homes. The black and white one is pretty fabulous, don’t you think? Oups will bring joy to children and adults alike – a real people pleaser. Go to Nathalie Bernollin for more information on home interior and other house design ideas. In honor of Salvador Dali, the surrealist, BD Barcelona Design has these amazing art floor / table lamps that also fit the role of sculptures in your designer homes. Meet Muletas and Cajones, lamps from the Black Label Collection. The flow-ey, draping lamp shades provide an unusual contrast to the metallic bodies that could be described as bony or tree-like … maybe even crutch-like. 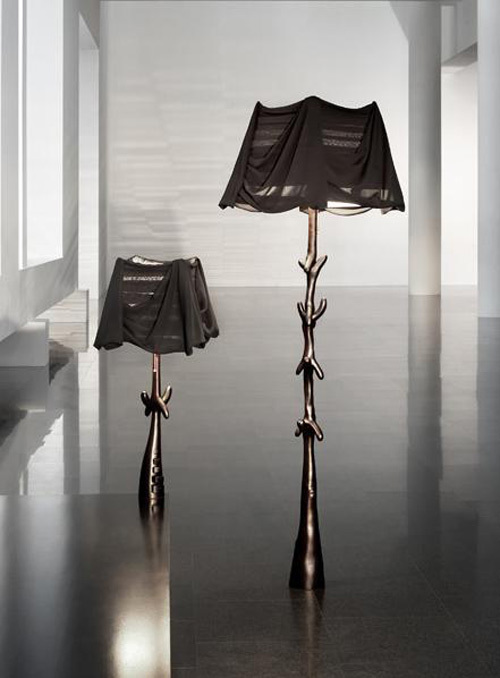 Strange and absurd, just like Dali’s art, these lamps retain a certain elegance thanks to their dark appearance. Their presence is artistic and bold – true statement pieces. Visit BD Barcelona Design for more information on home design and other design ideas for your beautiful homes. 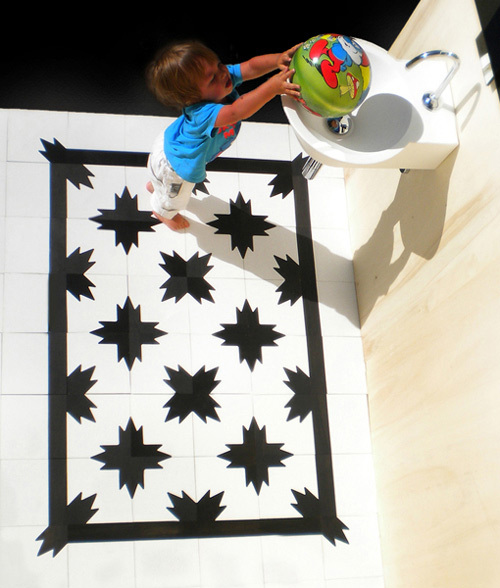 Here are great design ideas – Wet Floor by Wet – cement tile rug designs. Especially concerning the bathrooms, these tiles allow to create designs in place of where rugs would usually be, like in front of the sink or tub. Gone are the days of washing those rugs – instead you have a permanent design solution, that always looks fresh and fits in the interior design of your designer homes. Take them to the kitchen or even the foyer for a nice entrance surprise. Wet Floor tiles are produced in an environmentally friendly way, and cement is an ecologically sustainable product. Stop by Wet to learn more on interior decoration and other home decor products.